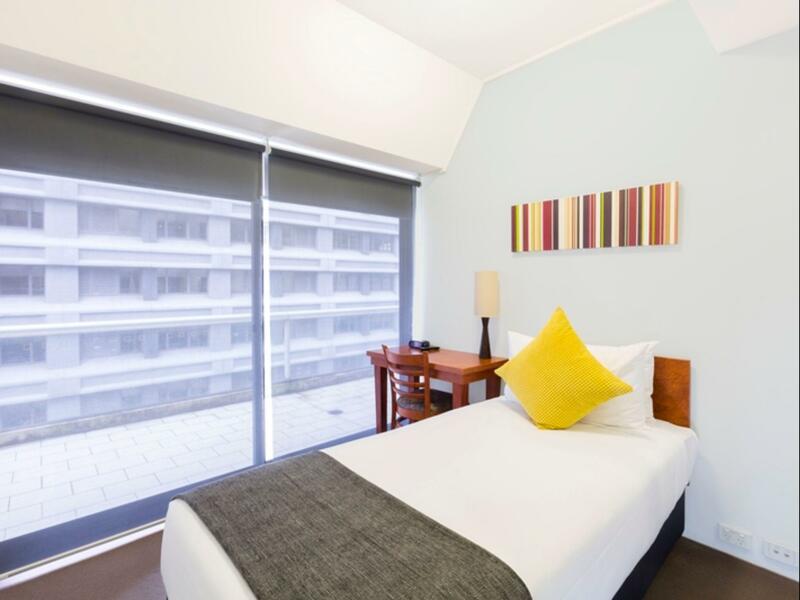 يقع Song Hotel Sydney في منطقة مشهورة للغاية في المدينة. هذا الفندق هو من الخيارات الشائع بين المسافرين. يسهل الوصول إلى هذا الفندق ذو 3 نجوم من المطار، فهو يبعد عنه مسافة 15 km فقط. يشكل هذا الفندق ملاذاَ مريحاً للاسترخاء ويمنح زواره فرصة للاستجمام والتجدد، وهو يقع على بعد خطوات من المعالم السياحية الكثيرة للمدينة. يعمل Song Hotel Sydney على ضمان إقامة مريحة لضيوفه من خلال خدماته الممتازة وحسن ضيافته. يقدم الفندق فرصة للاستمتاع بشريحة واسعة من الخدمات بما فيها: واي فاي مجاني في جميع الغرف, خدمة غسيل ذاتية, مكتب الاستقبال على مدار الساعة, مرافق مخصصة لذوي الاحتياجات الخاصة, تخزين الأمتعة . بالإضافة لهذا، تتضمن كل غرف الضيوف مجموعة واسعة من وسائل الراحة . بعض الغرف توفر حتى تلفزيون بشاشة مسطحة, غرف لغير المدخنين, مكيف هواء, تدفئة, مكتب لإرضاء أكثر الضيوف تطلبًا. سواء كنت من محبي الرياضة أو كنت تتطلع لتفريغ عناء نهار صعب، ستجد خدمات ذات مستوى عالي بانتظارك كمثل مسار جولف - ضمن 3 كم. إن Song Hotel Sydney هو خيارك لخدمة الفنادق الراقية في المدينة. As always, exceeded our expectation. Value for money, excellent location, free bfast is a plus. I've stayed here many a time now and keep coming back. It's a perfect location for public transport as well as bars, lounges, restaurants and supermarkets. The hotel looked much better, newer and cleaner than pics. They even have a microwave in the hall. We booked a private big room with 3 beds + toilet. We always use our own toiletries so no review on this. Overall, our stay is a OK one, no complaint. Only problem is the disappointed breakfast, please do not expect for anything rather than bread, oatmeal, and few kinds of fruits in a bow. 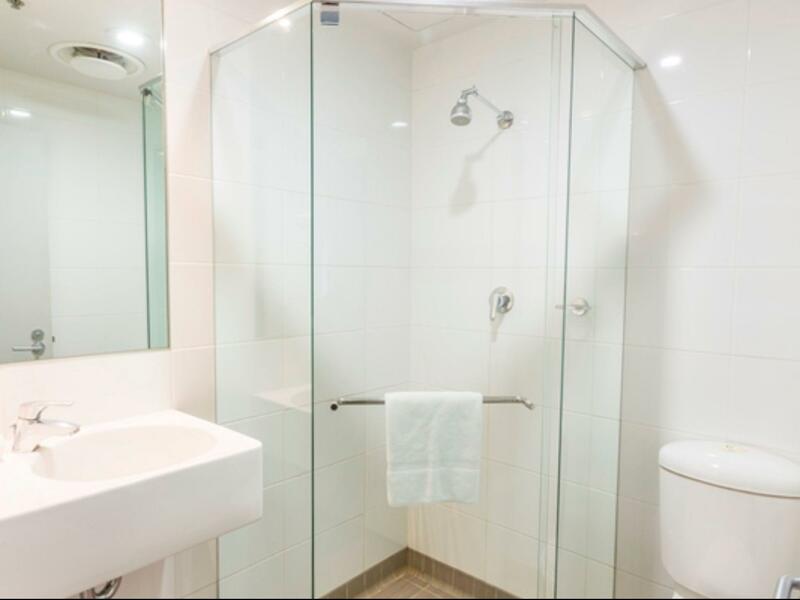 Location was brilliant, directly at Hyde Park, bus and metro station 5 min. away. Clean and spacious room with minimalist interior. Helpful and friendly staff at reception. Luggage room available for early arrival and late check out. Continental breakfast was good, additional goodies or broader breakfast options can be ordered at extra charge. Breakfast was healthy and well thought out. Super comfy bed! Room was clean and in a good location. 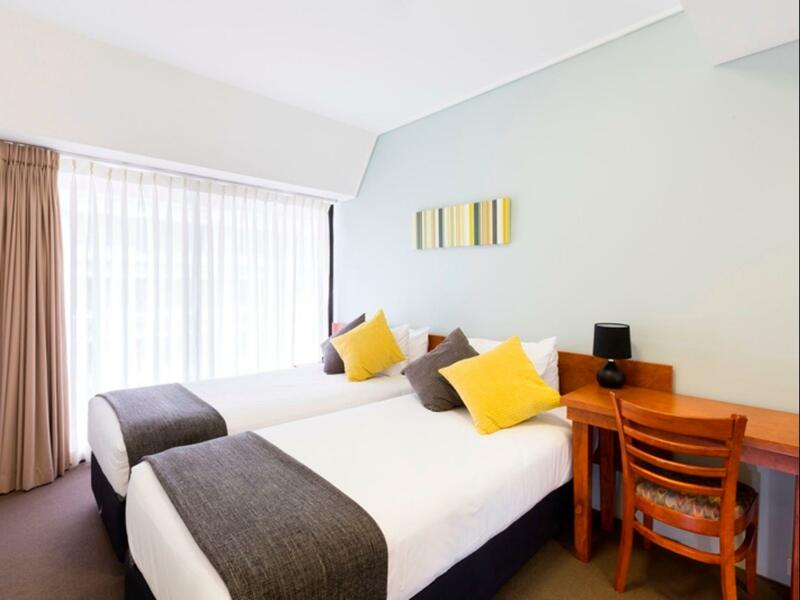 Very close to shops, tourist areas, and the bus to go to Bondi Beach. The only issue was that you could hear any noise from neighbors, including when they went in and out of the room late at night (or early in the morning). We like how Song Hotel were able to accommodate our request for early check in, roughly 4 hours before the official check in time. The location is very family friendly since it is so near train station and tourist spots are just around the corner. Definitely value for money. The location its the best, it's near to everything: Gym, Bus and Train Station, St Mary's Church, Restaurants (they also have their own-and food is sumptuous), Bars and oh The Philippine Embassy is just a couple walks away. The Staff, they are not GREAT. They are SUPER GREAT!!! From the Receptionist, to the Kitchen Staff, upto the Room Attendant! The Breakfast? Its an eat all you can Western Breakfast (Sounds Good? YES IT IS!) Kudos! I love SONG HOTEL SYDNEY! Everything is good from check-in until Check-out. There was only one staff at counter and I give room card to him “ Check out please” and staff only say “ Okay, you can go now”... OMG ! What a rude customer service. Very basic - but perfect position. It felt like I was staying in a dorm room but honestly for the price it was fine. Do not expect a room like the photographs unless you book a superior room on one of the top levels. Literally the only negative for us was the noise from the street traffic. It is LOUD! Earplugs were essential. Otherwise everywhere was clean (shared bathrooms were always immaculate), staff friendly, location perfect, great value for money, even got to check in 2 hours early! Song Hotel was good and neat. The room given to us were exactly what we requested for the number of occupants however we weren't informed that the rooms had Themes to honor a certain personality. The themes could cause miscomfort to some hotel guests and the Hotel should make sure they provide those information as well. 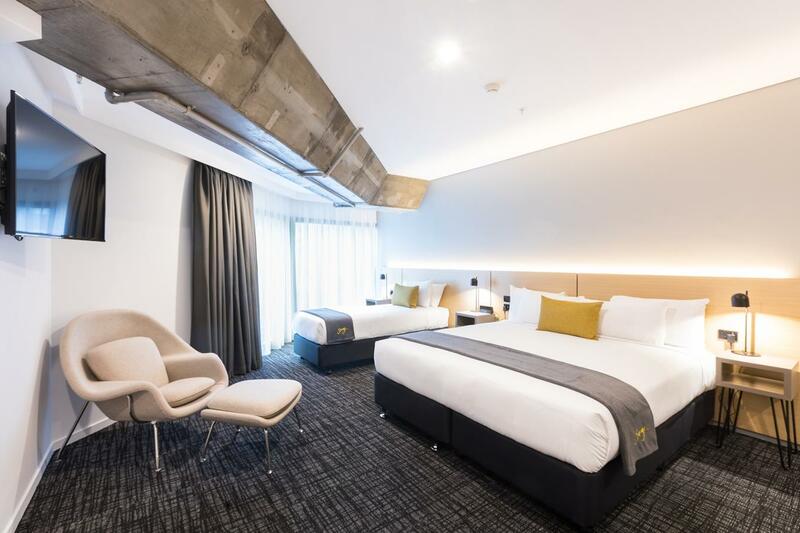 Overall I will recommend this hotel to a friend but will inform them to ask about more details regarding the theme of the rooms for awareness and options. Song Hotel is nice and clean. Comfy bed and nice shower. Everyday room cleaning is good as well. The breakfast is fine. 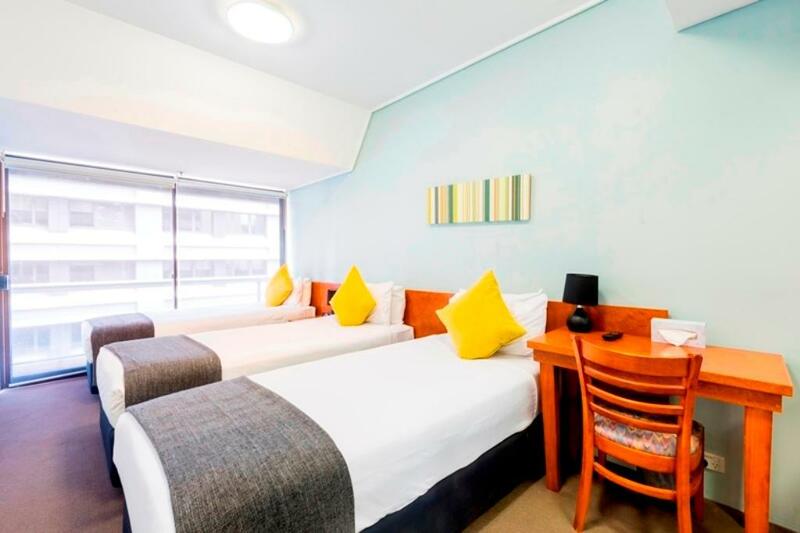 Location is good as it is walking distance to train / bus stations, you can walk as well to some main tourist spots if you love walking like Royal Botanical Garden, Opera House, Circular Quay. We actually switched to Song after a few days in another hotel that cost $100 more per night, and to our surprise, Song was far better in almost every way! First, the location is good, right next to Hyde Park and the Australian Museum. The hotel itself is very clean, modern, and comfortable. The best thing is the staff though, really friendly and eager to help in any way they can! Especially Cristophe went far out of his way to help us, which is greatly appreciated. One of the nicest guys we've ever ran into. The only downside is the breakfast, which has quite limited choice. They do have a bar that sells additional items for the breakfast, and if you're a tea drinker, you probably want to count in $4.5 extra per day for a good pot of tea from the bar, the basic breakfast only has Lipton yellow label. For fellow vegans, the breakfast has toast & jam or soya milk with cereal. Plus extra items from the bar. Anyway, a very good stay and I warmly recommend it to anyone! Hotel was under renovation and there was no WiFi. This was a huge deal to me as I work while traveling and it specifically said when I booked that free WiFi was included. Aside from that, the hotel was well-located. Very near a train station and bus stop to Bondi. Walking distance to a lot of attractions and convenience stores are nearby. Free breakfast was okay. Very clean shared bathrooms. Rooms were spacious, bed was comfy.